If you have more rhubarb than you know what to do with, especially if it's starting to look a little frayed at the edges, use it to infuse a bottle of gin for summer cocktails. It makes a refreshing rhubarb basil smash or adds a pink hue and welcome sweet and sour notes to your gin and tonic. Many recipes require four weeks to infuse the gin with raw rhubarb, but this recipe you can use the same day, because the rhubarb is cooked down first, breaking down the fibers and releasing the color and the flavor more rapidly. It will keep nicely and continue to evolve in flavor the longer you have it. I'm including the recipe for the quick rhubarb gin as well as the rhubarb basil smash cocktail. I have two local book signings coming up: I will be at Fireside Books in Palmer on Saturday, July 7, from 2-4 p.m. and at Barnes & Noble in Anchorage on 1-4 p.m. Saturday, July 21. I would love for some of my readers to stop by and say hello. Bring your friends. Hope to see you soon! Meanwhile, make yourself a drink. In a large saucepan over medium-high heat, bring the water, sugar, rhubarb and ginger to a boil, stirring enough to ensure the sugar dissolves. Turn the heat down to low and allow the rhubarb to simmer 30 minutes. Remove the mixture from the heat and allow the pan to cool on the stove. Cover and transfer to the refrigerator to chill through, about 2 hours. To the chilled rhubarb, stir in equal parts gin (if there is 2 cups of liquid from the rhubarb, add two cups of gin; if there is 3 cups liquid, add 3 cups gin). Chill another hour. 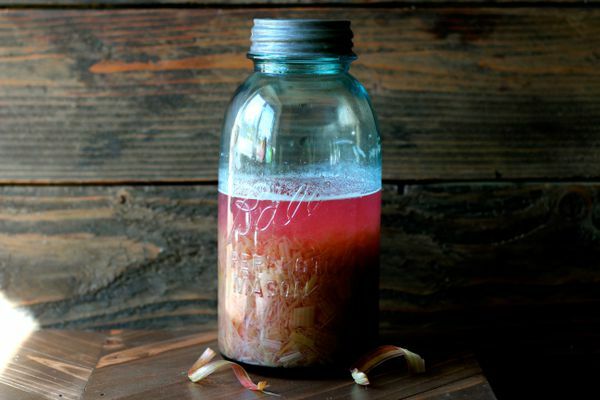 At this stage, you can strain the gin into a glass bottle or Mason jar and store covered in a cool dry place, or you can allow the rhubarb to continue to infuse the gin and strain it later as needed. 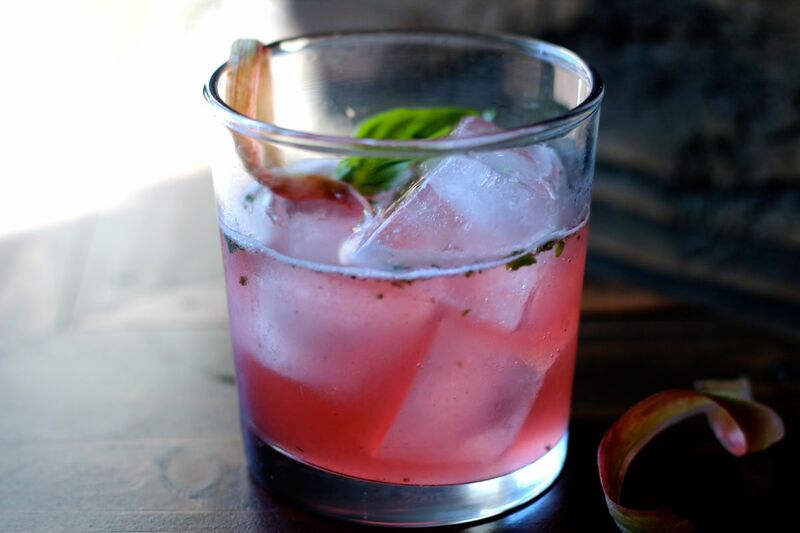 Use the rhubarb gin in your favorite gin cocktails, like a gin and tonic or a rhubarb basil smash. To a cocktail shaker, add ice, the rhubarb gin, lemon juice, and basil leaves. Muddle the basil leaves a bit, then cover the shaker and shake vigorously. Fill a highball glass with ice. Strain the cocktail into the glass. Top with a splash of club soda to taste and a basil leaf for garnish.